Welcome to February! The final month of climatological winter, it is (on average) New Jersey's second coldest month of the year (behind only January). It is also our driest month of the year. We enter the month with unseasonable cold, but I'm happy to report those frigid temperatures will exit this weekend. For the second morning in a row (and technically the third consecutive calendar day), we've got single digit temperatures on the board on this Friday morning. But not everywhere — it's not as bitter and painful as Thursday morning, because the wind is much calmer and thermometers are ever so slightly warmer. We'll avoid dangerous cold territory on Friday, but it's still going to be uncomfortably frigid. High temperatures will be limited to the lower 20s — still 15 to 20 degrees below seasonal normals. --Timing: First flakes will enter SW NJ by about 10 a.m. Friday, spreading throughout the southern half of the state by early afternoon. 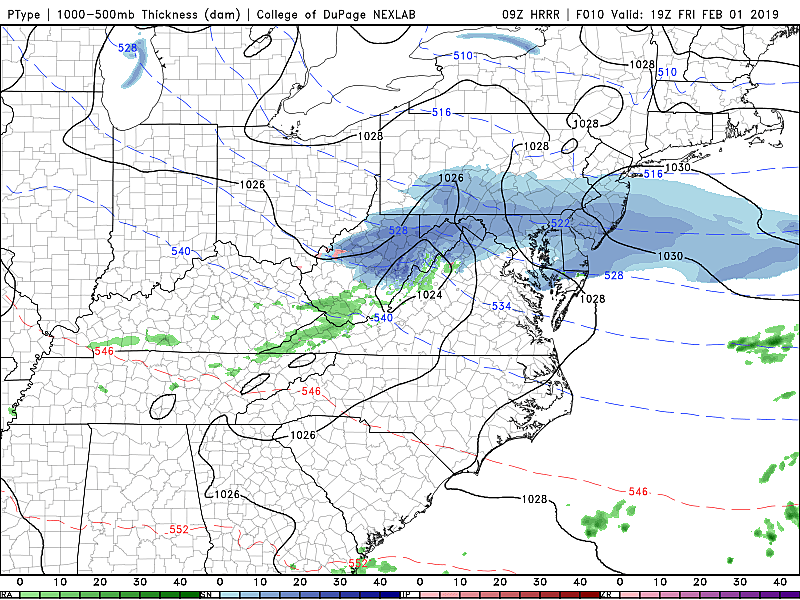 Final flakes expected between around 5 p.m. and 7 p.m.
--Impacts: Meh, this one really looks like a minor snowmaker for New Jersey. (Otherwise I would have cancelled my day off today!) Visibility may be reduced during periods of snow, and untreated surfaces may get a little slippery. There could be some slowdowns during Friday evening's commute. 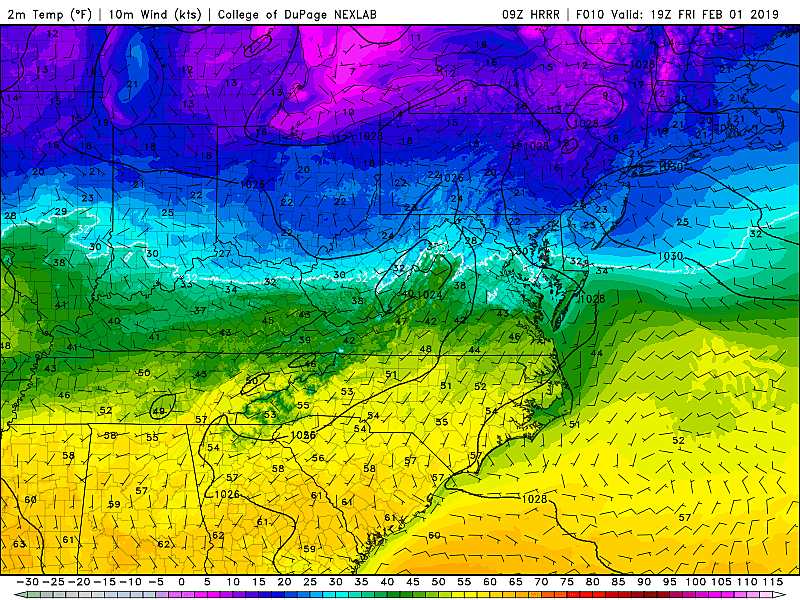 Looking ahead, Friday night won't be nearly as cold as the past two frigid overnights. Lows will dip into the mid to upper teens, with the wind chill just a few degrees below the actual air temperature. The big thaw kicks in this weekend! High temperatures are expected to climb into the 30s on Saturday and potentially the 40s on Sunday. I am seeing mixed clouds throughout the weekend, and maybe a few sprinkles. A few rain showers are expected on Tuesday morning, but there are still no big storm systems on the horizon. We'll cool down through the middle and late parts of next week, but it looks like a slow chill and not another arctic blast.